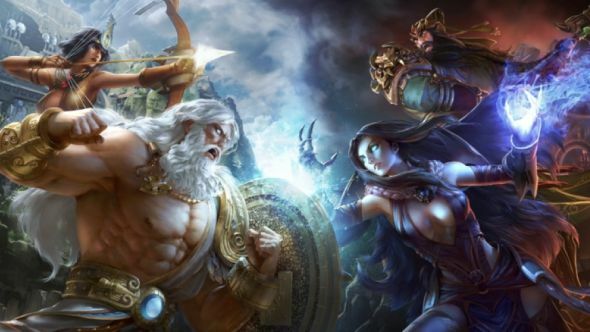 Hi-Rez studios are changing the way they introduce new gods to Smite in the coming year. The changes will mean that Gods are more able to make their way to the game, regardless of the depth or popularity of the pantheon they stem from. Cerberus is the next God making his way to Smite; here’s what we know. In a round-table discussion at this year’s Hi-Rez Expo, the game’s executive producer Chris Larson said the team were “hesitant to release another major pantheon this year, because it really restricts the way that we have to produce.” Releasing major pantheons, as the studio has done recently with the Japanese and Celtic gods means “we have to fill a whole roster; we have to have a warrior, a guardian, a mage.” That’s meant that in the past, development has avoided certain gods, because the rest of their pantheons are “not deep enough to have enough interesting characters that we wanted to bring to Smite,” but that strategy is set to change in 2018.